We pupils of Polee Primary School have dreams of becoming the best professionals in Engineering, Finance, Banking, Medicine, Education, Social Administration, Business and a host of others to fulfill our reason for existence but might not achieve this as we lye on the floor to study. Despite our inability to have Textbooks, Uniforms, enough classroom space, electricity and portable water in the school, we are never giving up to attend school on every schooling day because we know it is our Fundamental Basic Right as enshrined in the 1992 Republican Constitution of Ghana. Also, we are not just interested in schooling because it is compulsory but obtaining primary education becomes a strong foundation for us to become self-confident, resourceful and responsible in society. We are making a passionate appeal to you reading this message to support us either in kind or cash to get 30 dual desks or 60 single desks. Our pupil population is 60. You may contact Sister Zakaria Umu Fadil on 0558002554 or Adam Abdulai on 0241832479 to support or send mobile money to these numbers. 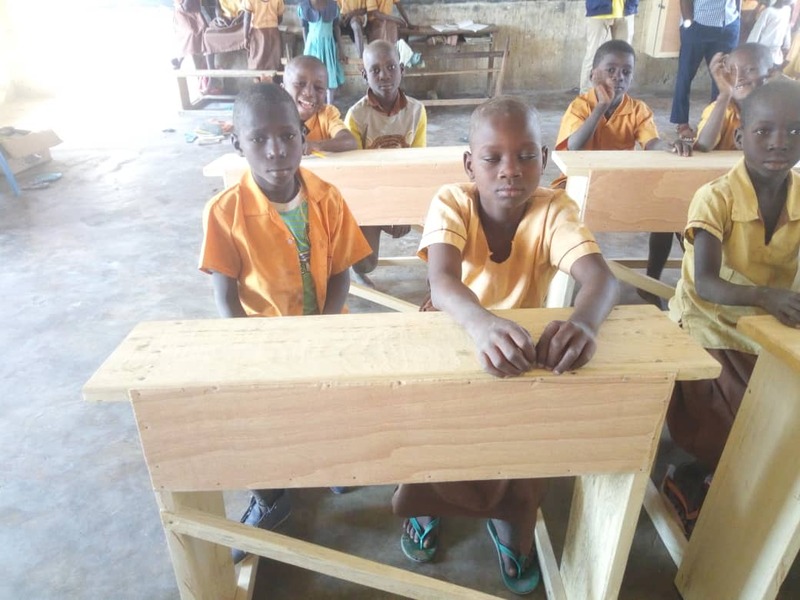 We have been able to raise 5 desks through the support of others. We are counting on you as well to support. This message is being share to you by Y-PES GHANA, an organisation focused on creating opportunities for Children and Youth Empowerment and Community Development. Polee is a farming community in the Wa West District. The community mobilized resources on their own, started the school with two classrooms in 2007. 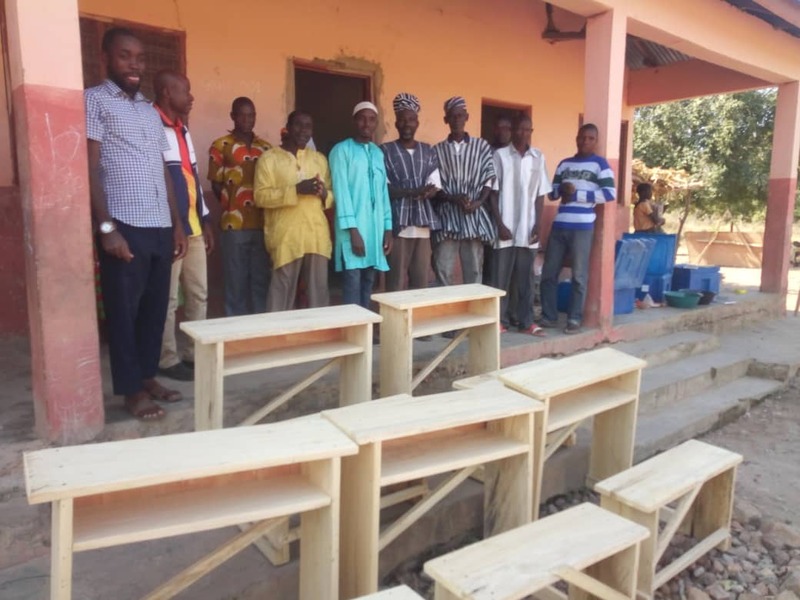 Government later built a six unit classroom block for the school. The JHS is being housed in some rooms built for Arabic learning (‘Madrasat’) for the past four years. The nursery and KG lessons are held under a tree in front of the Primary Block. One of the motivating stories of the school is tha all the candidates that sat for the 2018 BECE examination progressed to acquire Secondary Education. As part of efforts to achieving the Sustainable Development Goal 4: Ensure inclusive and equitable quality education and promote lifelong learning opportunities for all with target 1 as by 2030, ensure that all girls and boys complete free, equitable and quality primary and secondary education leading to relevant and Goal-4 effective learning outcomes, we have taken it upon ourselves to help create support for underdeveloped communities like Polee. December 1, 2018 in Business, Local News.